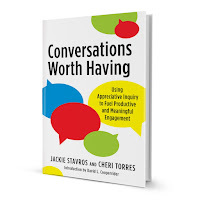 Although described in the introductory chapter as a “workbook,” I would call this book a resource for personal and group development. 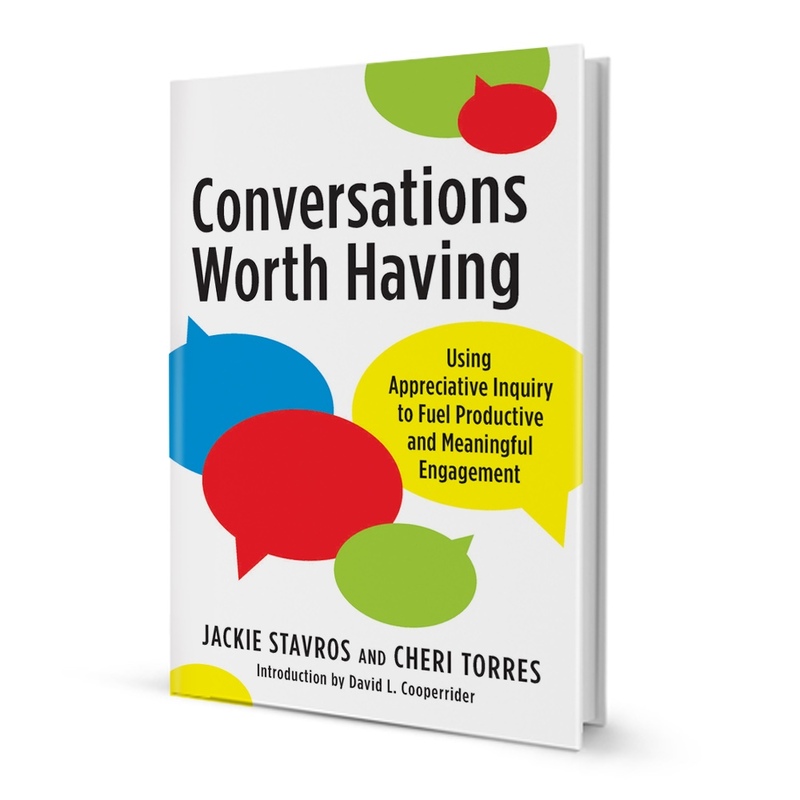 The content is rich in information and each chapter includes questions for individual reflection and group conversation. Moderate Baptists have needed this type of gender-inclusive, flexible resource for some time. Thanks to those who undertook this project at “a labor of love” for their fellow Baptists. “Empowerment” has become something of a catch phrase not only in businesses and other secular organizations, but in the church as well. We talk about being “empowering leaders” who call forth the best in others. We want people to “feel empowered” to exercise their gifts. We hope those with whom we work will “become empowered” as the result of our leadership. Recently, I came across this quote from Robert E. Quinn in Deep Change: Discovering the Leader Within that changed my paradigm completely. "We do not, however, empower people. Empowerment cannot be delegated. We can only develop an appropriate empowering environment where people will have to take the initiative to empower themselves." This caught my attention. Empowerment is not something I do to someone else. Just as I cannot motivate another person to do something, I cannot empower that person to release his or her gifts. I cannot force them to be all that they can be. The power is not in my hands; it is in theirs. That’s what empowerment is all about; it is internal not external. I was visiting with a friend who was interested in coaching, and I hoped to enlist him as client. In the course of the conversation, he said, “Tell me about some of your success stories.” This caught me off guard and offended me a bit. Quickly, I realized that my concept of coaching was not based on my own success but on that of those I coach. If there is a “win,” it belongs to the person being coached and not to me. I did not share any “success stories” with my friend, and I must not have done a very good job of explaining my approach since I did not get him as a client. The role of the coach is not to empower or to make someone a success. The role of the coach, as Quinn explains the role of the leader, is to create an environment where those with whom we work can come to empower themselves. It is not about me; it’s about you. What does VUCA stand for? This is an acronym introduced by the U. S. Army War College in the early 1990s to describe the world we entered when the Cold War ended--volatile, uncertain, complex, and ambiguous. The term has come to be used to describe the contemporary context in which we live and work. For example, see Sunnie Giles,The New Science of Radical Innovation or Bob Johansen, The New Leadership Literacies, for strategies to lead and innovate in this environment. Businesses are not the only enterprises affected by this way of perceiving our world. Theological education, if it is to be effective in the 21stcentury, must take volatility, uncertainty, complexity, and ambiguity into account for this is the world in which ministry takes place. In an uncertain world, the most important resources a seminary provides are information and formation. 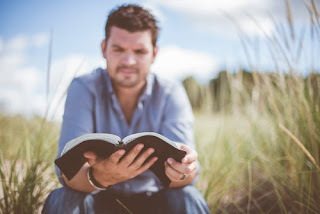 Theological schools are the custodians of information about scripture, theology, and Christian history and the processes by which one does theological reflection based on these academic disciplines. They can also expose students to the historical spiritual disciplines that have formed believers over the centuries. In an uncertain world, theological study provides a base upon which to form and sustain a worldview. Theological education must also address the complexity of the world in which ministry will be practiced. For example, North America is no longer defined by a Judeo-Christian perspective. The world has come to our doorstep, so we are a mosaic of faith and non-faith. 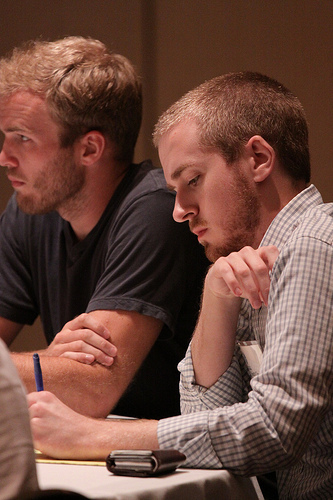 Seminary must equip ministry leaders to serve humbly but clearly in a post-Christian context. The ambiguity of our culture is impacted by but not limited the complexity of the world. God is clearly at work not only within the churches but within the larger world. Doors for ministry open in unexpected places, both within and outside the walls of the church. Theological education must equip students both to perceive and to pursue these opportunities provided by the Holy Spirit. Finally, we live in a volatileworld shaped by conflict, immigration, changing world markets, and innovation. Ministry situations are no longer as stable as they once were and can be influenced by the factors already mentioned and many more. For example, the current immigration crisis is providing the opportunity for faith communities to engage in prophetic and helping ministries. How does a seminary prepare student for such unexpected situations? Theological education is built on a strong conceptual base, but informed institutions are also equipping students for the new and unexpected. They are learning how to learn, how to remain true to their calling, how to perceive the leading of the Spirit, and how to read the signs of the times. In doing this, seminaries are preparing ministers for a volatile, ambiguous, complex, and uncertain world. 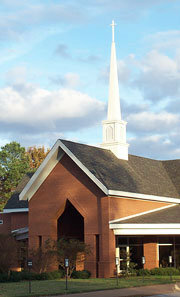 In a blog several years ago, church consultant George Bullard asked the question, “Why is the Congregational Life Cycle Still So Popular and Requested?” This model related to the life of a church was developed by Bullard, Bob Dale, and others in the 1970s and 1980s to describe the develop of a congregation and possibilities of redevelopment. The idea was first introduced in secular models of organizational development. You can see the model here. Bullard points out that he still has requests to present on the model in seminars and conferences as well as permission to reproduce it. I remember seeing the model in Bob Dale’s book To Dream Again and hearing Bullard talk about it in the 1980s. The primary reason that I think the model resonates with so many church leaders is that it assumes that the church, any church, is a living organism. It is born, it matures, it contributes, and it ages. The big difference between the church and a living organism, such as a person, is that it can find new life by reinventing itself. Alright, I admit that individuals can retool, reinvent, and reboot themselves. I have done it myself a few times, but the opportunities are limited. There comes a time when one no longer has the time and energy to do it. Perhaps one of the givens of the Congregational Life Cycle model is that it recognizes that nothing material lasts forever. I can point to any number of congregations that have birthed other churches, nurtured believers, and launched laity, ministers, and missionaries into the world, but they no longer exist. That is the nature of life. They are gone but their legacy continues. If you are not familiar with Bullard’s model, take a look at it and test its applicability in your setting. What is your paradigm for learning? I grew up on a content-oriented approach to learning where one is expected to master a body of knowledge. Too often this meant information flowing from the mouth of the instructor to the ears of the student to the notebook page without any meaningful involvement with the content on the student’s part. Education was something we “did to people.” We educated them. Too often, those of us who are in the people helping professions—teaching, mentoring, coaching, consulting, counseling—think of ourselves only as content providers. We deliver the goods and someone else uses them. This assures the provider of ongoing employment without making any appreciable change in the life of the recipient who becomes simply a consumer. This may be good for the provider but a poor transaction on the part of the customer. If we really want to make a difference in the world, we must help people to be more than consumers. They must learn how to develop their own strategies for coping with the issues they face every day. If we believe that each individual is created in the image of God, each person has the capability to be creative, proactive, and responsible when it comes to facing life’s challenges. Whether I see myself as an itinerant educator or as a coach, my role is to help pastoral leaders discover the resources within themselves in order to solve their own problems. In so doing, they are developing the ability “to feed themselves.” Does this mean that I am working myself out of a job? I suppose it does, but I don’t think that is a bad thing. The church of the 2lst century is challenged to reclaim the term and make it part of its DNA. In fact, I believe that if thechurch fails to deal with social justice concerns such as sexuality, economic deprivation, care for the infirm, hospitality for the stranger, and creation care, it is not pursuing the mission of God. In a society where those who are different are ostracized, ignored, and repudiated, the church has the opportunity--no, the commission--to embrace those on the margins and assure justice for them. In so doing, there is a possibility that a marginalized church may become a significant force in righting the wrongs prevalent today. The church does this not in order to become more prominent or to be rewarded but to be what God has called it to be. This is a challenge for the 21stcentury church. Since seminary days, I have been a student of church architecture. I love to walk through worship spaces, take pictures, and learn their history. The structures that we Christians build make theological statements, whether the buildings are gothic cathedrals, simple country churches, art nouveau temples, or modern places of gathering. Auxiliary buildings such as Christian education space, fellowship halls, and gymnasiums express our approach to church life and ministry. The challenge we face comes when the way we do church changes. Believe it or not, it is easier to change the way that a church worships than it is to alter how it uses its buildings. And, as anyone who has ever attempted it knows, changing worship styles has divided more churches that have doctrinal issues. Church buildings become memorials to life experiences. 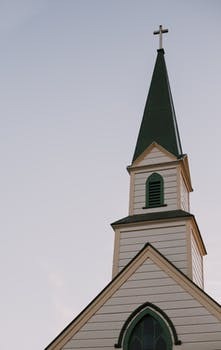 We become emotionally attached to buildings because that is where sacred moments in our lives took place--professions of faith, worship, baptisms, weddings, and ordinations, for example. The experience becomes so closely tied to the structure that the two become inseparable for us. Even more, the sacredness of the space prohibits any changes that might increase its effectiveness. Spaces become relics of earlier, better times. The sanctuary that accommodated 700 people thirty years ago may now be used by a hundred people or less. We simply don’t need as large a facility as we once did. Aging facilities, often with deferred maintenance, constrain the church’s ability to institute new ministries and reach out to the community. Buildings are not an end in themselves. They are tools to further the work of God’s Kingdom, but once something is built it takes on a life of its own and can hinder the work of the Spirit in the life of a congregation. Dr. Terrell Carter invited me to be a guest on his weekly radio program which is broadcast in St. Louis. We recorded the program last Friday and it was scheduled to be broadcast on Saturday. This is not something I usually do, but I enjoyed the dialogue that emerged between the two of us. Of course, we should ask ourselves, “When I first became part of a faith community, was I such a great ‘catch’?” The answer is probably, “No.” Each of us was a long way from being the type of disciple that is ready to make a significant contribution to the Kingdom of God through a local church. My friend Mark Tidsworth points out that the process by which people choose to affiliate with the church has changed. At one point, especially in the free church tradition, the idea was that a person would profess their faith (believe), begin to grow in their faith (become), and then seek to be received into a congregation (belong). In the 21stcentury, the process often plays out this way: a person experiences relationship with believers (experience), belongs to a group that is largely comprised of loving and active disciples (belong), grows in her or his understanding of the Christian faith (become), and finally understands what it means to be a follower of Christ (believe). We must learn to meet people where they are and not impose burdens on them for which they are not ready. This means accepting casual dress in worship services, unexpected language in fellowship sessions, and naïve questions in a study group. In other words, we love them and accept them where they are, inviting them to join us on the journey. This requires more patience than most of us have, so we depend upon the Spirit of God to give it to us. And there are other challenges as well, but those can wait for another post. We’ve all been there. Someone comes at us full of anger, looking for someone to blame, and spewing ultimatums. If we’re not aware, before we know it we’re in an argument, defending, counter-attacking, and escalating the situation. In these situations, our nervous systems see saber tooth tigers. The brain leaps to protect us, sending oxygen and nutrients to help us fight, flee, or freeze. The higher-order thinking needed in these situations doesn’t stand a chance. When our brain is hijacked like this, it takes us to a place of distrust, and any hope of a conversation worth having is severely diminished. Problems can best be solved with the help of critical thinking and creativity. This means moving out of fear and distrust and into a place of trust and cooperation. Anyone can do that. Whoever does it first in a conversation can readily change the dynamic, de-escalate the situation, and bring others into a place of cooperation and creative problem-solving. 1. Breathe. Breathe into your heart and slow things down. There is no saber tooth tiger. 2. Adopt a positive frame. Focus on a shared, desired outcome. 3. Assume positive intent. Speak to the other expecting positive intent and cooperation. Don’t be a saber tooth tiger. They’ve been hijacked just the way you were about to be hijacked. Empathize. 4. Get curious. Ask questions that help everyone question assumptions and explore possibilities, surface new information, and insights. Will you always be able to disarm the tiger? Nope. With practice, however, you will get better and better at it. In addition, you’ll help others learn to engage with problems in a different way. And just maybe, over time, the saber tooth tigers will disappear. Last week I was on campus at Central Baptist Theological Seminary in Shawnee, Kansas. Two Doctor of Ministry cohorts were there to attend the residency seminars that are part of their semester studies. Dr. John Park, director of the program, was teaching “Embracing Design Thinking” to the 2017 cohort which started January 2017. Dr. Terrell Carter and I taught “Understanding Yourself and Others” to the cohort that began in January of this year. Although the groups had some interaction during breaks, over meals and in chapel worship, their primary interaction took place within their own cohorts. Each cohort has developed a high level of trust, even the group that just began in January. Studies have shown that ministers thrive in intentional communities of practice or peer learning groups. Many denominations such the Cooperative Baptist Fellowship encourage and facilitate the development of these ongoing groups. They engage in dialogue around the content presented, providing reflection and real-time application to the information being provided. In so doing, students actually share in the course instruction, making each seminar experience unique. They provide honest, loving, and supportive feedback to each other. While respecting each person’s point and view and experience, they are not afraid to ask questions for clarity and applicability. They encourage one another not only in their academic studies but when life happens. One student has lost a spouse since starting the program. Another has delivered her first child, and another has lost a parent. Several have experienced sickness. In all of this, they support each other as both friends and colleagues. 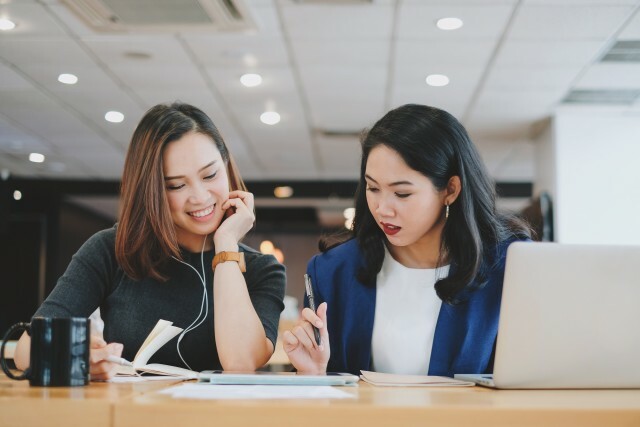 They also hold each other accountable by questioning assumptions, reminding one another of deadlines, and providing critiques of assignments. Our hope is that these student practitioners will take this model of mutual learning and support back to their ministries and seek out others who will walk with them in their journeys. This will make them not only more effective ministers but healthier believers. The final step in the CHANGE process for a church is encouragement. Accountability structures provide encouragement as we pursue a goal and they keep us on track. In individual coaching, the coach is NOT the accountability structure. The client designs his or her own accountability structures or identifies those already in place—family, friends, coworkers—who can come alongside and help. As we work with a church to change, we can call upon structures already in place or create some to help move toward the goal. Some accountability structures already exist. These may be staff meetings, leadership teams (elders, session, etc. ), or church business meetings. These provide times to not only report what is being achieved but to celebrate as well. For example, when a goal is developed, steps to achieve that goal are outlined. We might see these not only as steps in a process but milestones toward achievement. They can also be the occasion for celebration. We don’t do a very good job of celebrating. Perhaps we think it is a bit too worldly but we find many times of celebration in the history of the people of Israel and in the ministry of Jesus. As steps are completed toward the goal, celebrate them as a spring board to the next step of accomplishment. Another accountability structure might be a steering team that guides, coordinates, and evaluates the progress toward the goal. This responsibility may be delegated to an existing body in the church, but it should include both clergy and lay leadership as well as those who are directly involved in working toward the goal. The team’s role is encouragement not direction. Reminders are a good accountability structure. This may be a timeline in the church narthex, a pictorial representation in a prominent place, or pictures of a work in progress. These keep the goal before the congregation and serve as an incentive for continued action. How would this work in your congregation? GPS is a wonderful invention. All one has to do is either type in (or speak) a destination and step by step directions are provided to get there. I must say, however, that I often pull up an overview map that shows me the “big picture” of how I will get there as well as some perspective on the arrival point. I like clarity about where I am going to end up. Author Lewis Carroll wrote, “If you don't know where you are going, any road will get you there.” Before you depart on a journey, it is a good idea to know where you are going. 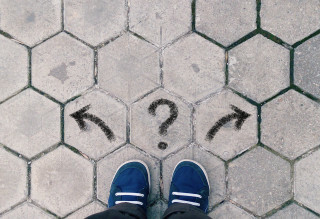 As a church makes decisions about the change it wishes to initiate, there should be clarity about the desired future before planning on how to get there. This is the desired goal the church is working toward—more engaged worshippers, expanded ministry to the community, or a great commitment on the part of participants to Christian formation, for example. There will always be those who resist setting goals. Several objections often surface. First, there is the argument that the church is a spiritual concern, not a business endeavor, and goals are secular. (These people overlook the fact that the church has a bank account, a budget, pays staff, follows fire codes, etc.) Certainly, the work of the church is spiritual in nature rather than profit-generating, but this does not mean that there should not be clarity and a direction for the work of the church. The Gospels indicate that Jesus had a clear idea of where he was going and stayed the course to the end. There are any number of examples of believers who set goals in their own lives for Christian growth and service. Goals can be very spiritual. Second, some argue that we don’t know what the future holds, perhaps citing James 4:13 about the uncertainty of the future. This is a good argument, but there is nothing to prohibit us from modifying or changing goals to meet new challenges and circumstances. In fact, to do otherwise would be foolish. Third, there is always the situation where someone says, “We did that years ago, but those goals were just put in the file and forgotten.” The problem here is not in the process but in the execution. We will discuss that in the next post. Goals give us direction, purpose, and a challenge to plan. Once we set our goal, we begin to design ways to reach the goal, using all of the creativity and curiosity that we can muster. If there is a fear of trying something new or attempting an especially challenging goal, it might be helpful to conduct small “experiments.” When we experiment, we are making a low level commitment to try something new, but we can learn things even when the attempt is limited. For example, if the church is thinking about adding a worship service, leadership may suggest that a first step might be to do some interviewing or a survey to see who would be interested in attending or leading the new service. A more extensive experiment would be to do a pilot offering for a couple of weeks as a “test run.” The next step might be to schedule the service for a limited period of time—three to four months—to see if it gains traction. Each step can provide more information about the best way to pursue the goal. Goals stretch us and encourage us to try new things for the Kingdom of God. They open new doors for ministry.